The Prairie Style is often associated with Frank Lloyd Wright and the Arts and Crafts Movement of the early 1900s. One of his finest examples was the Robie House with its dramatic overhangs, stretches of art glass windows, open floor plan, and sweeping horizontal lines that echoed the prairies of the great Mid-West. The Prairie style is seen as Wright’s reaction to the overly-ornate Victorian style of the late 19th century. Although it was designed nearly a century ago, the Robie House remains a prime example of modern residential architecture. Today’s Prairie Style homes include many of the same attributes: shallow-pitched hip roofs, oversized eaves, cantilevered projections, open interior spaces, central chimney massing, minimal exterior ornamentation, and low proportions. Different geometric shapes are often highlighted through window arrangement, columns, low walls and planters, all which create an aesthetically appealing home. Transitions between indoor and outdoor spaces are seamless with broad covered porches and large masonry columns. 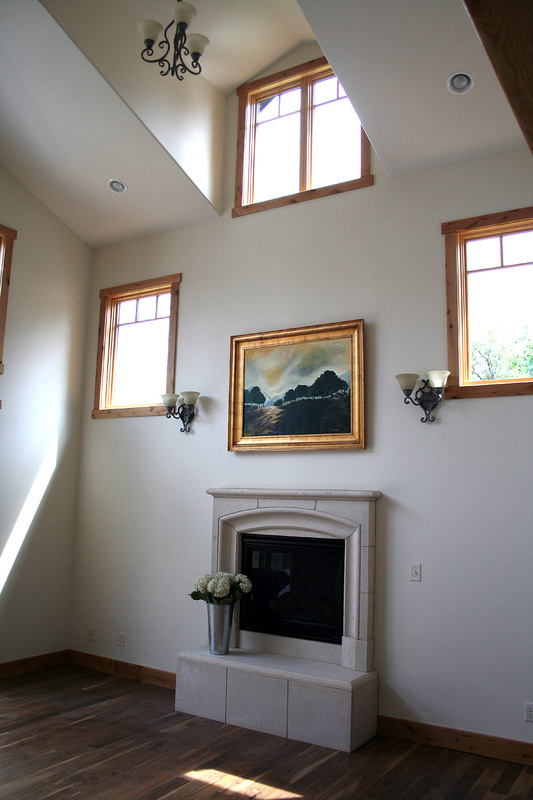 Large casements as well as rows of clerestory windows are commonly seen in Prairie style homes to provide plenty of daylight for a comfortable interior and also to accentuate its linearity. Massing generally consists of boxed shapes at varying heights and depths. Layouts tend to include open common areas with no hallways on the main level, and a modular grid floor plan using only right angles. 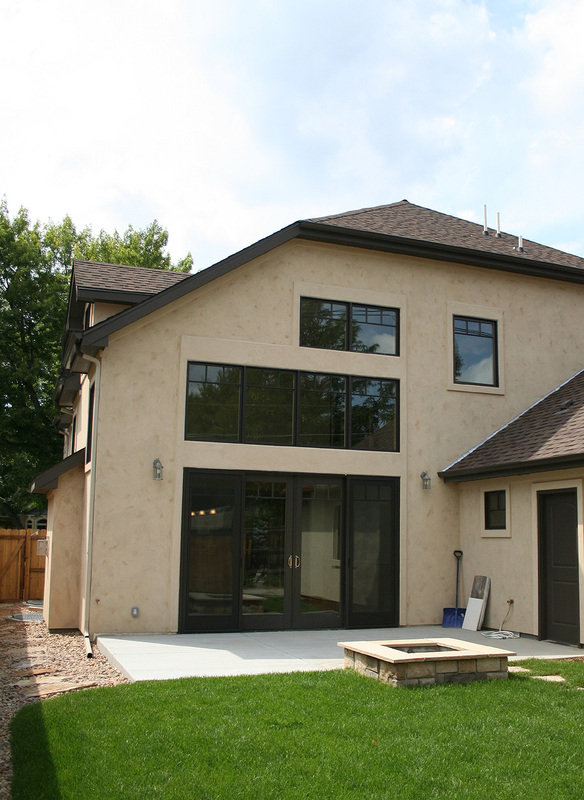 Brick is the most common exterior material used in Prairie Style design, but today many of these homes combine it with other materials such as stucco, stone, or concrete block. The materials were generally light-colored to blend in with the home’s natural surroundings. 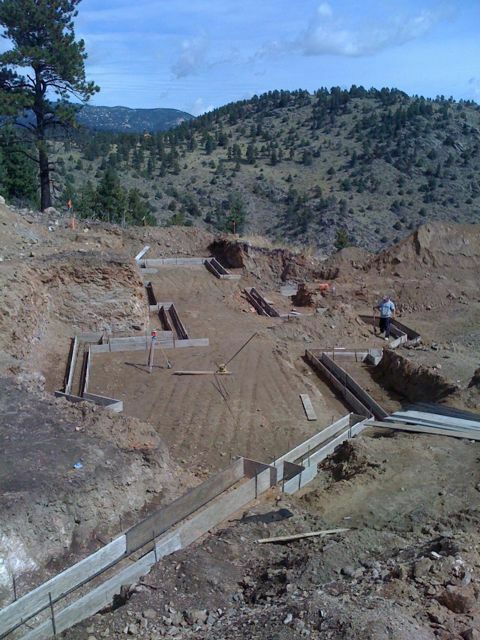 On Sunday I stopped by the Kershenstein residence to see what progress has taken place. 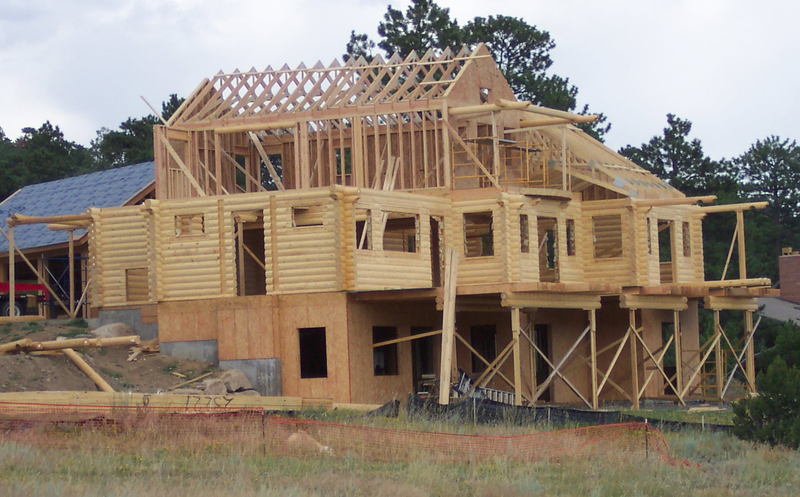 Along with the upper floor framing and upper framed walls, the upper level trusses look to be almost all in place. Also on the lower level, temporary bracing is in place until the stone clad concrete masonry columns are built to support the main level deck above. 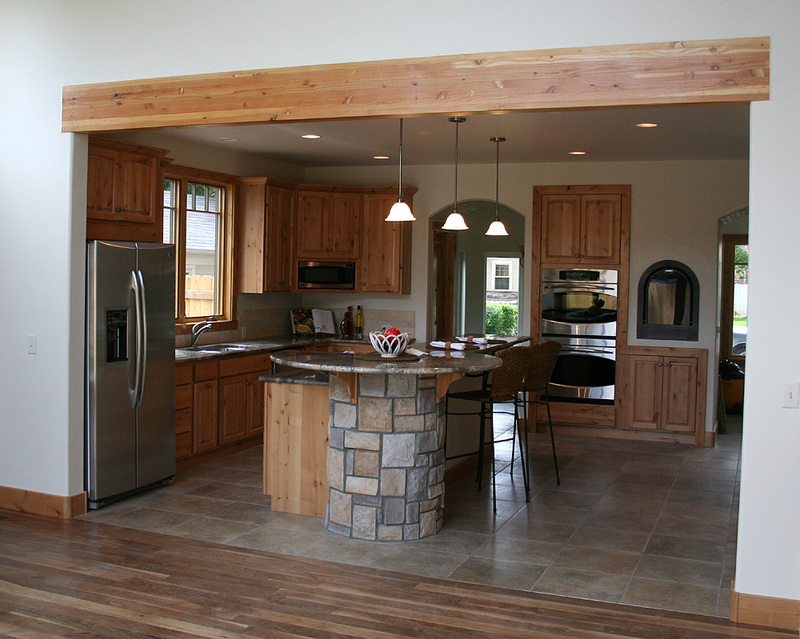 Counter-depth refrigerators are popular for a polished, upscale look in kitchens. However – they are also considerably more expensive the traditional, full-depth refrigerators, and offer less storage room for the counter space taken up. Depending on your floor plan, manipulating the walls behind the fridge can allow you the roomy benefits of a full-sized fridge along with the flush-face appearance and walkway space – standard refrigerators can stick out from the face of cabinets up to 6″. So if you have 6″ behind your cupboard wall that you can sacrifice – enjoy your larger, cheaper fridge! Note that very high-end products, such as sub-zero refrigerators, are always counter-depth, so this tip wouldn’t apply to that situation. Habitat for Humanity of Metro Denver offers a service for those renovating a home. They have specialized volunteers who will go to your site to pick up anything that can be salvaged and sold at Habitat’s Home Improvement Outlet. Almost everything can be re-used from cabinets, appliances, hot water heaters, light fixtures, toilets, and bathtubs to doors, carpet, thermostats, and fireplace inserts. Not only will you be helping the environment, but you will be saving money by reducing demolition costs and you will also receive a tax donation receipt. Habitat typically offers this service on Saturdays, however they can work around your schedule depending on the size and scope of the project. Visit Habitat for Humanity of Metro Denver for a more complete list of accepted items.